Kimonos are the perfect seasonal transitional piece. You can wear it with shorts and a tank in the summer, and with jeans and a tee shirt in the fall. 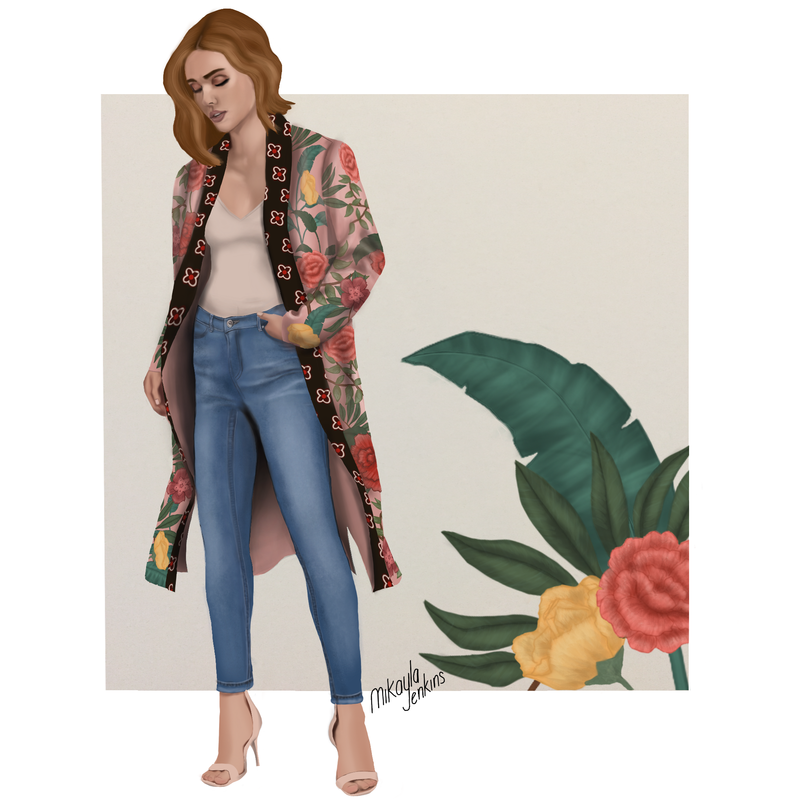 Also, floral kimonos are beautiful statement pieces that can be dressed up or down. 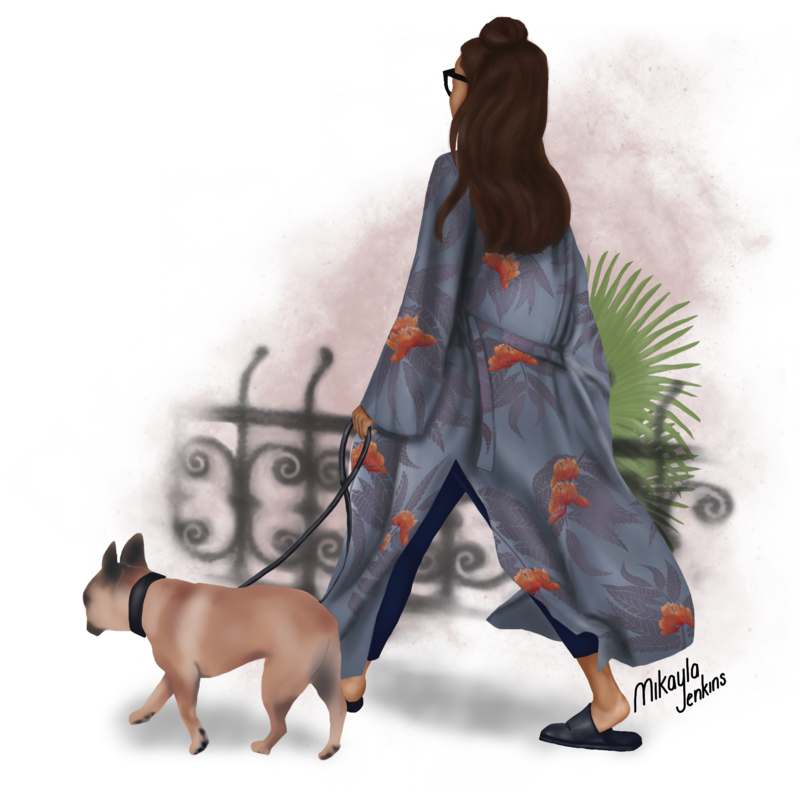 A gorgeous floral kimono paired with jeans and slip ons is perfect for an early morning walk with your fuzzy BFF. Do you have a “go-to” transitional piece that bridges your summer and fall wardrobe? These images are lovely Mikayla! I love the romantic, bohemian style of floral kimonos, which are perfect for late summer and early autumn (fall). I adore the colours you’ve used and the way you make the pieces flow so nicely. You always use vibrant colours and blend them beautifully. Thank you, Saba! I really wanted to capture the feel of a kimono floating behind the wearer (I think it’s because I find it a bit dramatic), so I’m so happy to hear that I’ve captured that feeling in the illustration.